If you think that a home ‘do-it-yourself’ project is simply a matter of ‘Bish, bash, bosh, job done!’ you’re probably going to end up with a DIY disaster on your hands. As anyone with DIY experience will tell you, planning and preparation are crucial and it’s rarely enough just to buy some materials, grab a few tools and crack on. 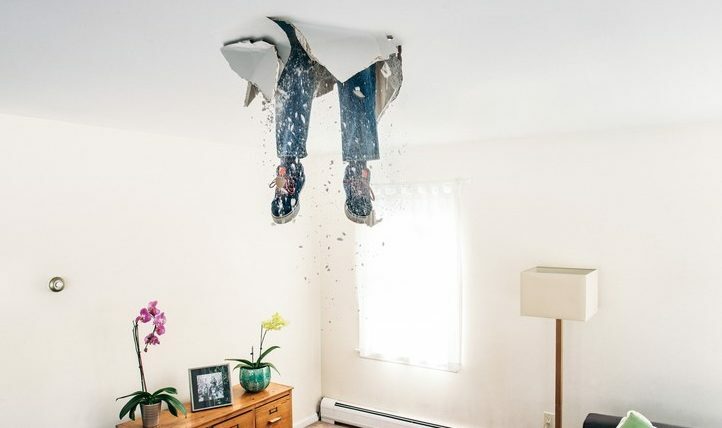 If you start a DIY project without checking your home insurance includes cover for accidental damage, you’re asking for trouble. Nearly all insurers can add it to a policy for just a few pounds extra and a quick call should sort it out. Take careful notes of measurements and the materials needed can save considerable time toing and froing from the nearest DIY store. Try and step back and think ‘how do I want this to look when I’ve finished’ before you start. It’s very easy to buy the wrong-sized shower, or shelving brackets, for example, if you don’t. Mark on walls in pencil and use cardboard cut-outs to give a good idea of what a space might look and feel like when finished. Cleaning paint brushes and rollers really adds to the time it takes to finish painting walls and ceilings. One great tip is to simply wrap them in plastic bags overnight and put them in the fridge. They don’t dry out and are ready for use first thing the next day. If you’re going to be doing a lot of work involving looking up at ceilings, such as painting or plastering, getting hold of some scaffold boards will make the job a lot easier. Simply place them on old milk crates to create a platform, so much better than having to constantly move a step ladder. Thick cardboard, or even cheap hardboard, offers much greater protection than the usual mix of old curtains and bedding. It’s well worth getting hold of some, especially for larger jobs. DIY nearly always creates a great deal more mess than you think it will and looking for tools can be a nightmare. Keeping a clearly arranged tool bag and returning tools to it can save a good deal of time, as well as keeping you sane! Most people won’t be converting a loft or adding an extension to a home without paying a builder to do it. However, many might try saving money by knocking down a wall between two rooms.